Google wants to pump $50 million into helping people find jobs. No, this new funding isn’t related to Google for Jobs, a recent effort that leverages the Cloud Jobs API to seed job postings into certain Google searches. The search-engine giant wants to give that money to nonprofits that focus on assisting people in navigating the “changing nature of work.” This includes groups devoted to helping people connect with employers, get new training, and work in better conditions. Early beneficiaries of Google’s program will include Code for America, which builds digital tools that help people more easily navigate government services, and Social Finance, which analyzes which youth-training programs best use contributions to improve their clients’ skills. Google is also giving out money and donating volunteer time to organizations that seek to alleviate the harsher aspects of service jobs; one beneficiary in that category is the National Domestic Workers Alliance, which supports injured service workers. Google volunteers will translate the group’s offerings into other languages. “We also recognize that the way we work is changing, and we want to make sure that as many people as possible can make the most of the new jobs, industries and opportunities that are emerging—some of which we couldn’t have imagined just a few years ago,” Google wrote in a corporate blog posting about the initiative. Many tech companies devote time and money to various causes in an attempt to appear socially conscious; some devote software, while others encourage their employees to volunteer. With Google, it’s possible to argue that initiatives like this newest one are designed to blunt criticism about its technologies killing jobs. For example, the company has devoted years (and millions of dollars) to designing self-driving vehicle software that critics fear will ultimately prove devastating to industries such as trucking. 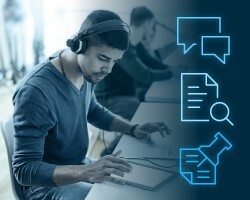 Its artificial intelligence and machine-learning efforts may likewise have a sizable impact on customer service, tech support, and other businesses that depend on scripted actions. But such sizable shifts in the labor market may take years to come to fruition. In the meantime, recruiters and hiring managers should take note of the trends driving Google’s new effort: the nature of work really is changing, especially for tech pros. Things like machine learning and artificial intelligence may radically alter workflows, as well as create (or destroy) jobs. Don’t just listen to employers’ needs; make a point to chat with tech pros and learn about their challenges and concerns with regard to the industry—because sooner or later, those will end up having a sizable impact on how you do your job. 1. Loss of jobs. Do you realize how many people earn a living by driving buses, taxis or trucks? Or who deliver pizzas, Chinese food, etc.? 2. Who is responsible when a self-driving car is deemed at fault in a crash? The manufacturer? Who goes to jail if a Google self-driving car kills my child? Or would they just pay a fine? Even a million-dollar fine would be nothing to Google. 3. What happens when the Russians hack the software and a million vehicles all at once have their operating system compromised?